This book will be useful to everyone who has struggled with displaying data in an informative and attractive way. Some basic knowledge of R is necessary (e.g., importing data into R). 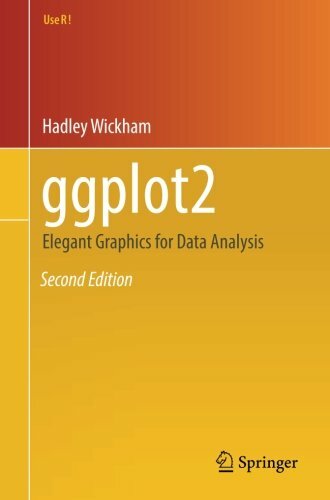 ggplot2 is a mini-language specifically tailored for producing graphics, and you’ll learn everything you need in the book. After reading this book you’ll be able to produce graphics customized precisely for your problems, and you’ll find it easy to get graphics out of your head and on to the screen or page.